The Launch Readiness Review performed on Tuesday did not reveal any open items, allowing ULA’s Atlas V rocket to proceed with its rollout to the launch pad on Wednesday to initiate the final preparations for a lengthy launch countdown on Thursday. Liftoff remains set for 23:05 UTC on September 8, the opening of a two-hour launch window during which 24 discrete launch opportunities exist. OSIRIS-REx is on the range on Friday and Saturday to provide backup launch slots should any hold-ups occur in Thursday’s attempt. The overall launch period for the mission, constrained by launch vehicle performance and the relative geometry between Earth and Bennu, extends until October 12 – giving the mission plenty of time to get off the planet. Last Thursday’s dramatic on-pad failure of SpaceX’s Falcon 9 rocket meant some extra work for the ULA Team due to effects of the explosion felt at the neighboring launch pad. Space Launch Complex 41 is located around 1.8 Kilometers from SLC-40 where Falcon 9 collapsed in a blaze of fire. 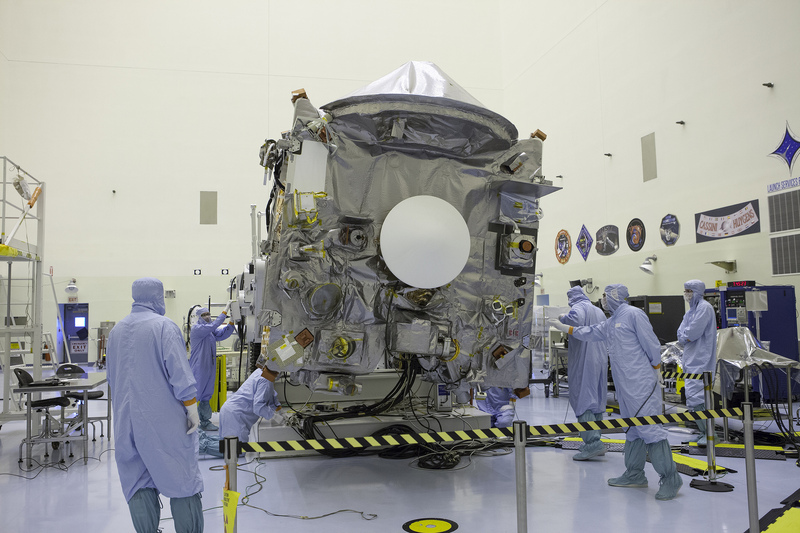 ULA and NASA were quickly able to verify that the Atlas V rocket and OSIRIS-REx spacecraft – both housed in the Vertical Integration Facility – were unharmed by the accident. 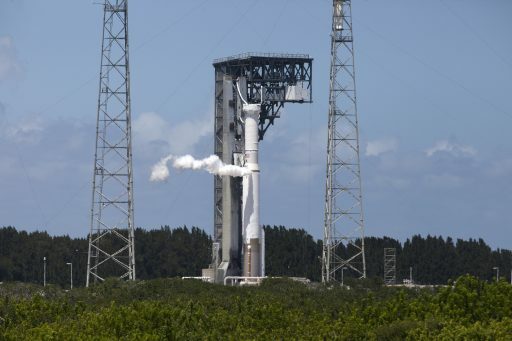 However, special cleaning procedures were needed at the SLC-41 complex to ensure no debris or contamination sources were present as a result of the nearby blast. Additionally, work had to be completed to fully restore systems that are in use by different pad operators at Cape Canaveral Air Force Station and were impacted by the Falcon 9 mishap. NASA’s Launch Services Program went through a cross-over assessment looking at any possible commonality between the Falcon 9 launch system and the system in place at SLC-41. This assessment, completed over the weekend, fully ruled out any commonality with what transpired at SLC-40 to any of Atlas V’s launch scenarios. OSIRIS-REx was able to stick to the original launch schedule given the entire weekend was budgeted as schedule margin to provide buffer for open operations between Thursday’s Flight Readiness Review and Tuesday’s Launch Readiness Review that focused more on the operations side of things from a launch vehicle and support perspective. Managers reviewed the readiness of the Atlas V launch system and no items that could get in the way of launching were found – clearing the 58-meter tall rocket for its trip to the launch pad, scheduled to get underway at 9a.m. local time on Wednesday. 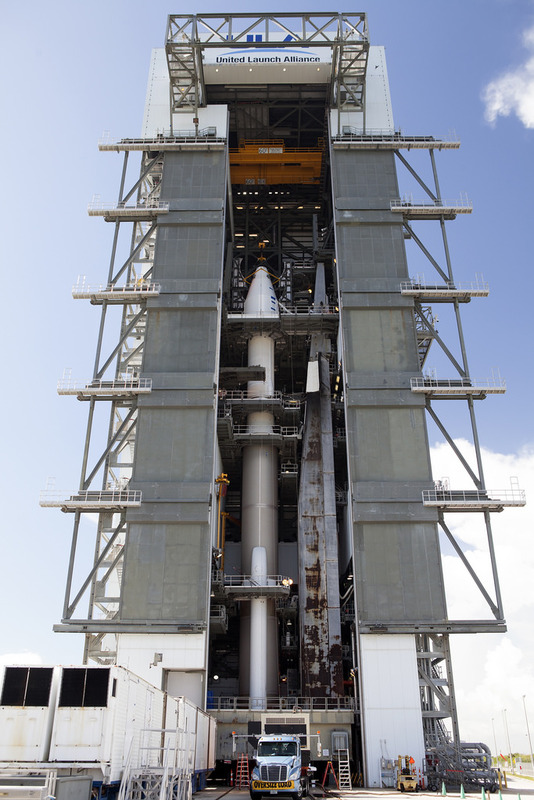 Sitting on its Mobile Launch Platform, Atlas V will be carefully positioned atop its launch pad so that various commodity lines can be connected to the rocket in the run-up to Thursday’s countdown to launch. Filling of the first stage’s Rocket Propellant 1 tank is completed later in the day, leaving only the cryogenic Liquid Oxygen and Liquid Hydrogen tanks to be filled during Thursday’s countdown that will get underway seven hours before the opening of the launch window. The L-2-day Launch Weather Forecast issued by the 45th Weather Squadron shows an optimistic outlook for Thursday’s launch opportunity with an 80% chance of favorable conditions during the 115-minute window. The weather pattern currently influencing Florida is relatively stable after the passage of Hurricane Hermine last week and conditions are expected to remain similar over the next several days with an onshore sea breeze developing in the morning and migrating inland in the afternoon hours, creating an isolated thunderstorm threat. The primary concern for Thursday’s launch attempt are violations of the Cumulus Cloud Rule with a cloud deck base at 3,000 feet and tops extending to 10,000ft, though a two-hour window will give launch controllers some margin to wait for clouds to clear. Friday and Saturday both show a 70% chance of cooperative weather, the primary concerns being cumulus and anvil clouds. OSIRIS-REx employs a rather strange-looking Atlas V launch vehicle variant. Known as the 411 configuration, the vehicle has only one Solid Rocket Booster that creates an imbalanced appearance after liftoff because of the off-axial thrust moment delivered by the lone SRB. This requires compensation by the RD-180 which gimbals to re-direct its thrust and allow Atlas V 411 to rise vertically. It will take Atlas V nearly one hour to lift OSIRIS-REx into its intended heliocentric orbit to embark on its long trek to Bennu and back. 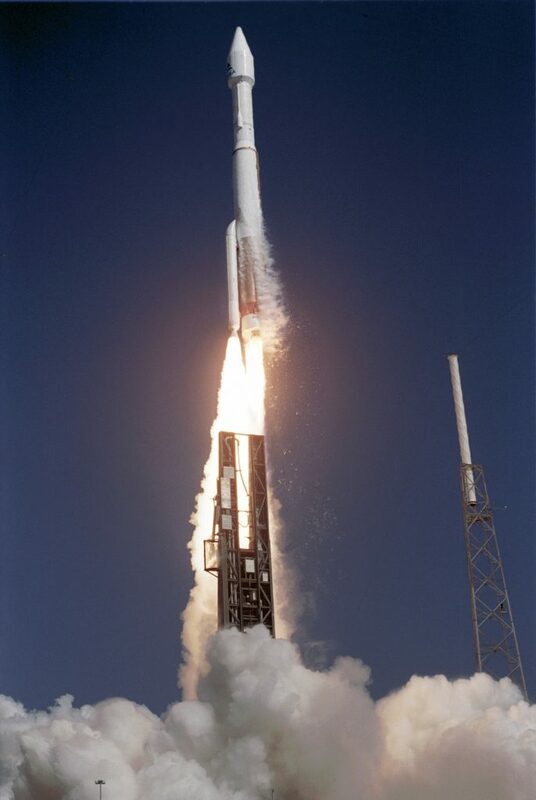 The mission’s full name is Origins, Spectral Interpretation, Resource Identification, Security, Regolith Explorer and the project has a budget of $800 million (not including the launch vehicle) as part of NASA’s New Frontiers Program, following in the footsteps of the New Horizons spacecraft that became the first to explore Dwarf Planet Pluto and Juno which arrived in orbit around Jupiter in July 2016. 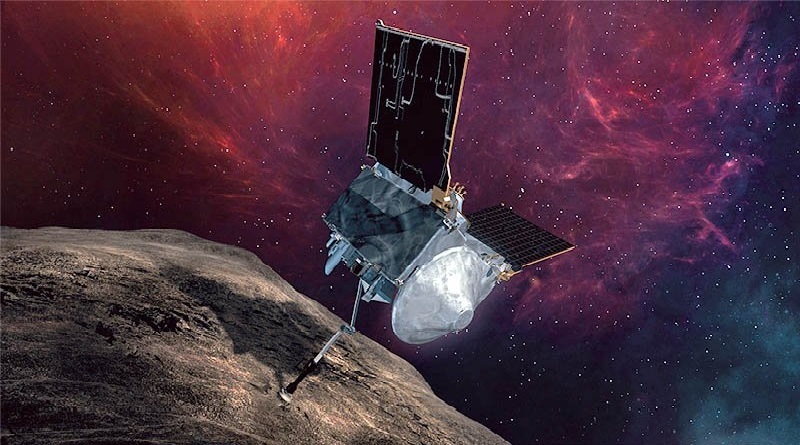 The study of an asteroid and the return of sample material was deemed a critical goal for space exploration because asteroids can be considered time capsules from the birth and early formation of the Solar System. The ancient Carbon-containing material on Bennu and other early bodies of the solar system was a key in the formation of organic molecules delivered to Earth by bombardment of meteorites. 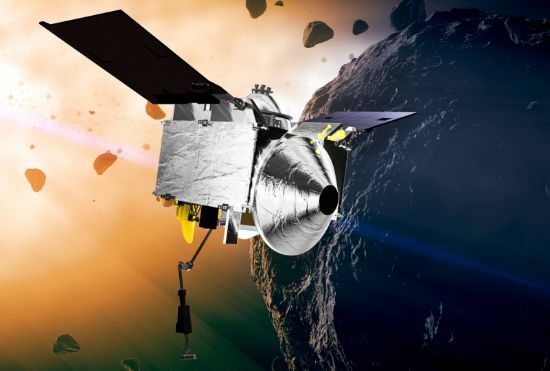 OSIRIS-REx will arrive at Bennu in 2018 and put to use a series of cameras, a laser altimeter to study the topography of the asteroid, and three spectrometers covering the X-ray, visible and infrared wavelengths. 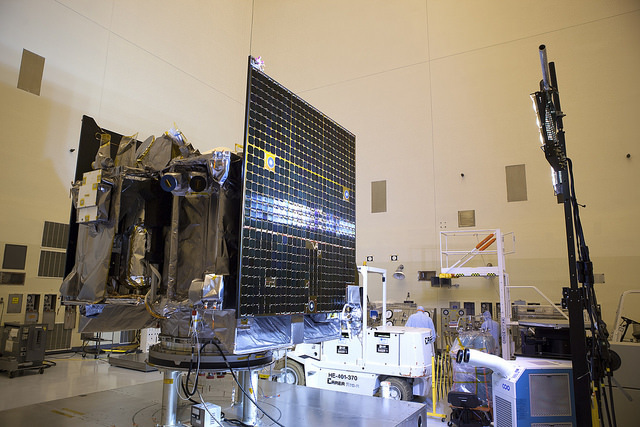 The remote-sensing instruments will deliver a complete picture of the asteroid and its composition before OSIRIS-REx is carefully guided to a touch-and-go with Bennu to collect up to two Kilograms of sample material for return to Earth. Departing Bennu in 2021, the spacecraft twill dispatch a small Sample Return Capsule to Earth in September 2023 to return the material collected from the ancient world. 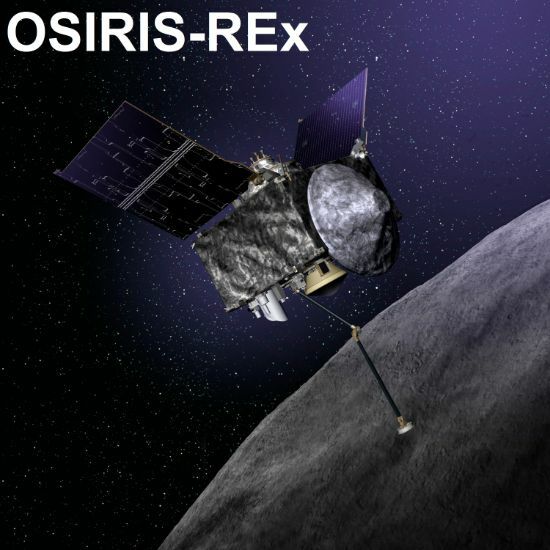 Check out our OSIRIS-REx mission section for a comprehensive technical overview of the spacecraft and its instruments, the high-fidelity sampling system, the mission’s target asteroid Bennu, and the trajectory OSIRIS-REx will take during its seven- year trip through the solar system.